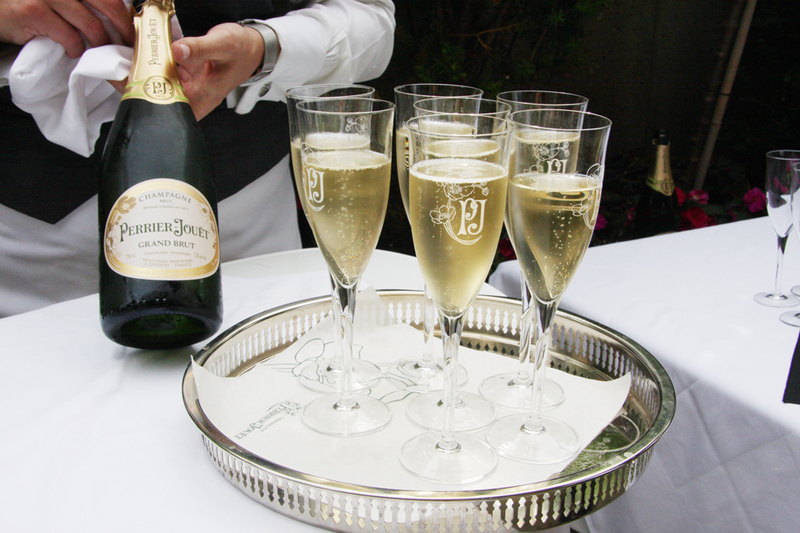 Champagne’s crisp, refined flavours are not just limited to the region’s namesake bubbles. 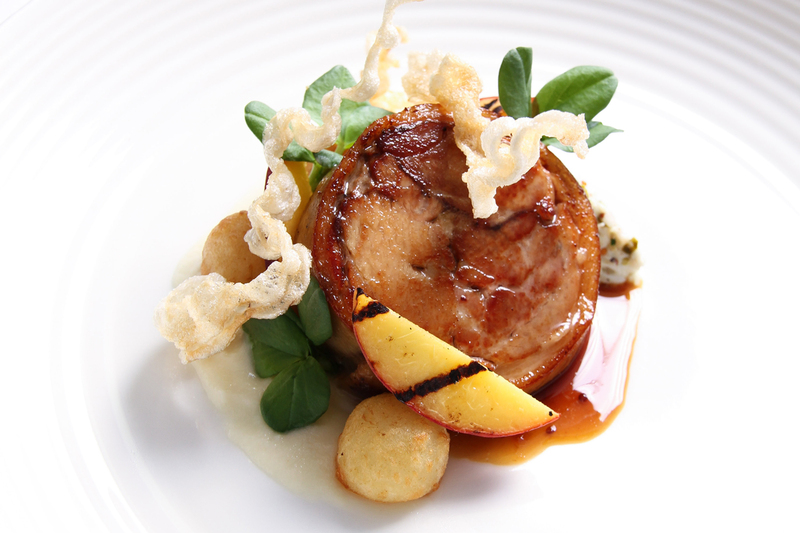 This season, Chef de Cuisine Malcolm Campbell has made it his mission to showcase Champagne’s local ingredients in a stunning series of summer-inspired dishes like crispy Huîtres and slow-cooked Porcelet. We took the opportunity to pick his creative mind and learn more about the foods that define Champagne, France. What inspired you to base your menu off of the Champagne region for this time of year? MC: While we were discussing possible regions, the idea of Champagne wine pairings came up. I have never seen or heard about Champagne pairings and thought it would be a good challenge that we could make work. Since you don’t hear much about the region besides the wine, I enjoyed the challenge of discovering dishes and ingredients from that region to use on our menu – it was difficult. Most people associate Champagne more with sparkling wine than food – can you tell us about some of the region’s flavours, ingredients and dishes, and how you incorporated those elements into your menu? MC: This is where the challenge began. Unlike other regions where there is a lot to choose from, I found the Champagne region more ingredient-based instead of having classic regional dishes. The Champagne region boasts rich and fine food that fits perfectly with its wide range of Champagne wines. Traditional northern French cooking uses products from the soil – this is known as Cuisine du Terroir. 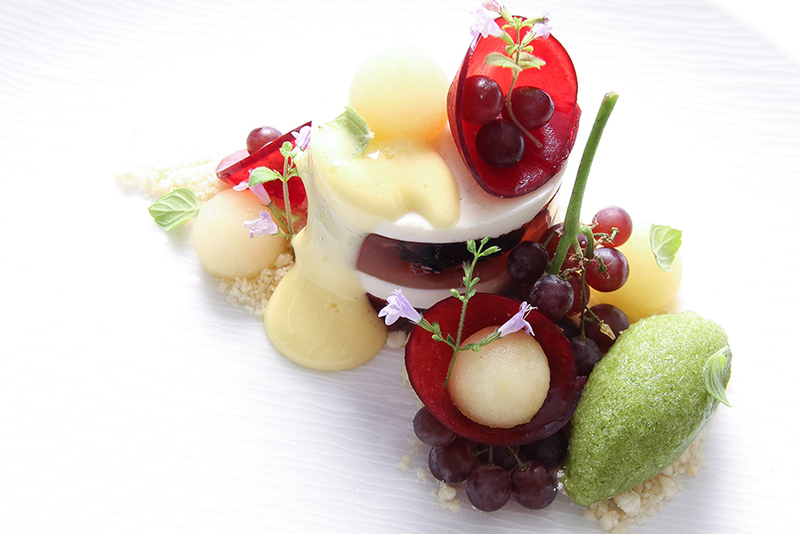 I tried to base the dishes off of the natural landscape and ingredients grown in that area. Which ingredient were you most excited about working with, or which signature dish were you especially excited about executing, and why? MC: Historically, pork hasn’t been a bestseller at Auberge, so I was already excited to do a pork-based dish – especially having worked in England, where pork is a huge staple on any menu. I wanted to test the waters, and since guests are given a choice between fish or meat for their main course, this seemed like a great opportunity to try out a pork-based dish. We went with the slow-cooked suckling pig. We debone the whole pig and re-roll it into four quarters, then slow-cook it at 80°C for 24 hours, so you get a very nice, tender product. We reserve the cooking juices and use it to finish the sauce. Auberge embodies modern French dining – can you tell us about the ways your takes on Champagne’s signature dishes differ from the classics? MC: The menu is based on ingredients rather than on signature dishes, and I found that in World War II, most of the potatoes went to the Germans. The French were mostly left eating lots of rutabaga and Jerusalem artichokes. I thought it would be interesting to use these traditional ingredients as components on the menu, so we incorporated the artichokes into the first dish. Champagne wine is listed as an ingredient in the oysters and the Fruit des Champs. Can you tell us a bit about the process of incorporating Champagne wine into the menu items? MC: Champagne pairs well with loads of different ingredients and classically, oysters work well. It also was very fitting to end the meal with Champagne sabayon in the dessert, so it worked quite easily. Which dish from the menu is your favourite to eat and why? MC: For me personally, it is the pork, as it’s low in carbs and sugar – but that’s also because I have some dietary restrictions. I am also just happy to eat pork again. Which dish from the menu is the most labour-intensive or challenging to prepare and why? 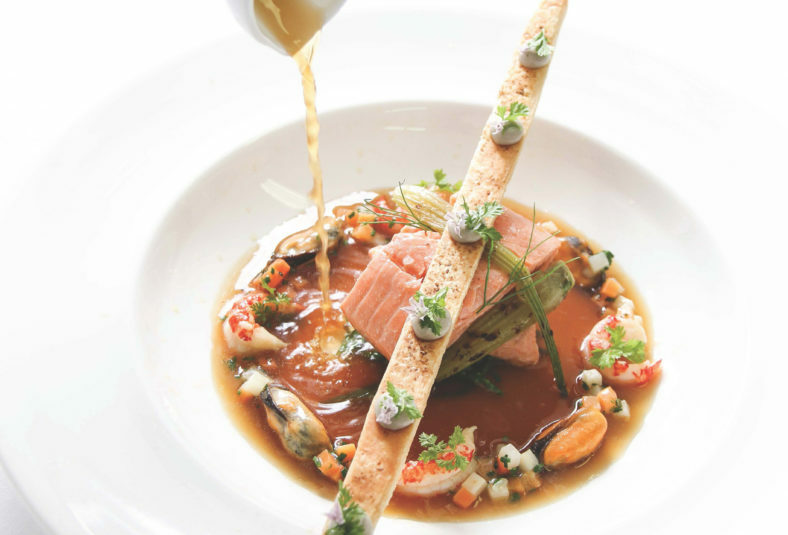 MC: The crayfish consommé is a bit time-consuming, as well as the suckling pig due to the 24-hour cook. Which dish from the menu are you most excited for guests to try? MC: I would of course recommend the whole menu and pairings experience. We also spoke with our sommelier, Antonia Bachinski, about the process of finding the perfect Champagne wine to complement each of Chef’s stunning dishes. In what ways do the Champagne pairings create a different experience for guests than your typical wine pairings? AB: Our champagne tasting menu is unique as most restaurants do not offer a tasting menu which each course paired with a different Champagne. This menu allows our guests to explore the region of Champagne through the different regional dishes, while experiencing several different styles of Champagne wine. I have used Champagne from big houses such as Perrier-Jouët – which is bone dry, tart and full of minerality – as well as from a small grower, which will show variation in terms of sweetness, oxidization, etc., from bottle to bottle. How do these Champagne pairings – in contrast to wine pairings of past tasting menus – affect the way the flavours of each dish are brought out? AB: Finding a Champagne that will complement each dish depends on the style of the wine, weight of the dish, sauces, etc. Champagne pairs almost perfectly with everything – from oysters to salt and vinegar chips – depending on the style. There’s so much room to play because Champagne is so versatile! Many guests do not have the opportunity to try these styles of Champagne on a regular basis, and I am happy to help them explore these wines over the course of the tasting menu. My goal is for guests to leave educated and excited to go home and try these on their own!